Keeping in the theme of transportation on and off the island of Alameda, this morning I decided to check out the Fruitvale Bridge. I discovered while reading about it this morning, that it used to be the route for a train to come to the island. That is now officially defunct, but some of the tracks are still there. 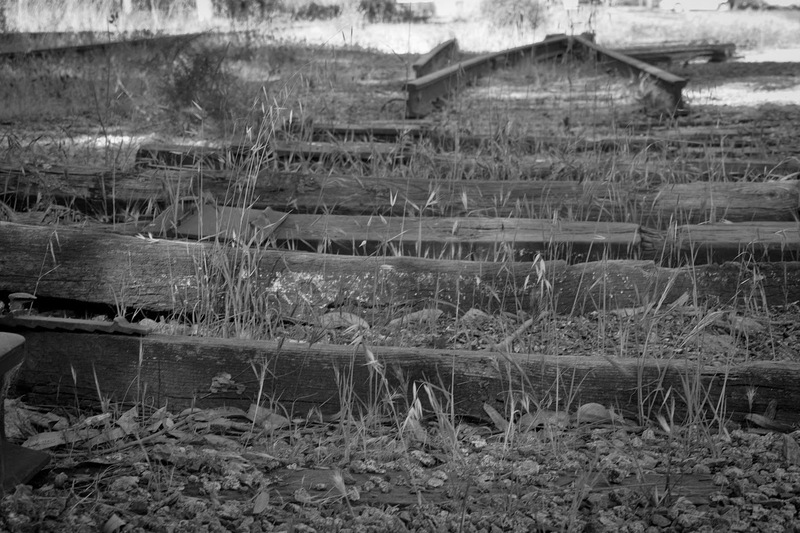 Instead of the bridge picture I was planning, I was very intrigued with the remnants of the train tracks with weeds and stones starting to blend in.